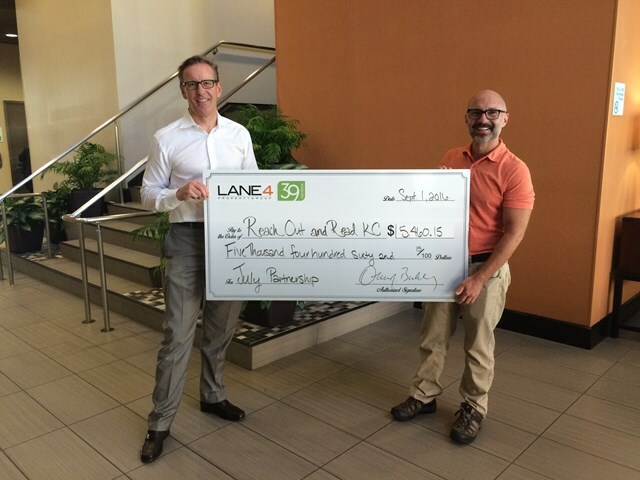 KANSAS CITY, Kan. (Sept. 2, 2016) – 39Rainbow concluded its Summer of Giving Campaign with a donation of more than $5,400 to Reach Out and Read Kansas City. The donated funds will be used to fulfill its mission to provide Kansas City’s youngest children with new books and the prescription to read aloud together at home within 52 pediatric clinics throughout the metro area. The campaign focused on donating a portion of 39Rainbow’s restaurant sales between July 1 – 31 to the nonprofit, as well as hosting a month-long book drive for children aged birth to 10 years. The first floor lobby of the Holiday Inn Express acted as a book drop-off site throughout the month, yielded roughly 40 books for the organization, including hardbacks, paperbacks and board books for small children. 39Rainbow is one of LANE4 Property Group’s newest mixed-use centers, located at the corner of 39th Street and Rainbow Boulevard. 39Rainbow restaurants include Subway, IHOP, Five Guys Burgers and Fries, Topp’d Pizza + Salads, and Wyandotte County’s first Pita Pit, which opened its doors to customers earlier this week. 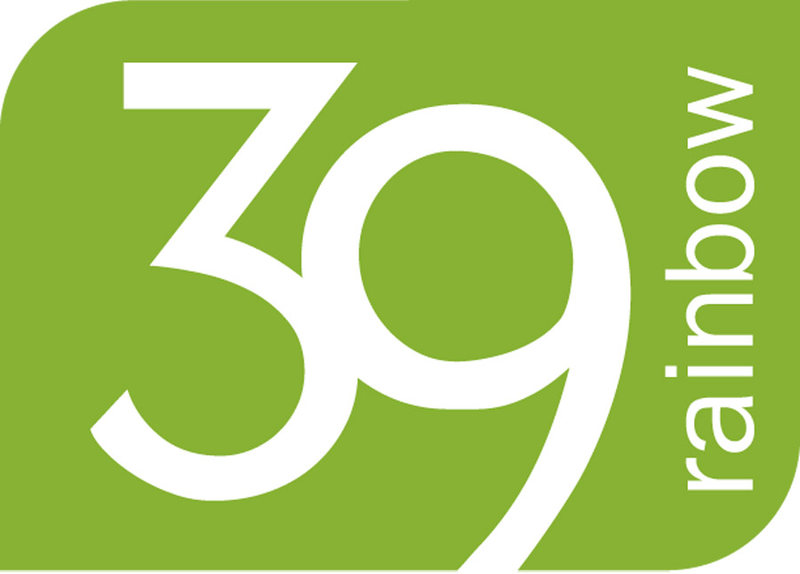 39Rainbow is a mixed-use project owned and managed by LANE4 Property Group, strategically located at the southwest corner of 39th Street and Rainbow Blvd. across from one of the region’s fastest growing medical campuses, The University of Kansas Hospital and Medical Center in Kansas City, Kan. Based on Parisian architecture, 39Rainbow consists of two separate buildings, totaling approximately 175,000 square feet across four levels, including 30,000 square feet of hospitality and retail space. 39Rainbow is a first-of-its-kind development in the Kansas City area, offering a true mixed-use format with new prototype national brands, local creations and more than 70,000 square feet of medical office and patient care facilities. Current tenants include a new-format IHOP and Subway, Five Guys, an 83-room Holiday Inn Express, The University of Kansas Acute Rehabilitation Unit, The Kansas City Transitional Care Center and local restaurant Topp’d Pizza. For more information on 39Rainbow, visit www.LANE4group.com. Reach Out and Read Kansas City is a nonprofit program that provides approximately 76,500 new, culturally and developmentally appropriate books to almost 30,000 low income children, birth to age five, during well-child visits at our partner clinic sites, building a 15-book library for each child before he or she enters kindergarten. The Reach Out and Read evidence-based program capitalizes on the relationship between parents and medical providers to develop critical early reading skills in children, beginning in infancy. Reach out and Read families read together more often, and their children enter kindergarten with larger vocabularies and stronger language skills. For additional information, please visit www.reachoutandreadkc.org.